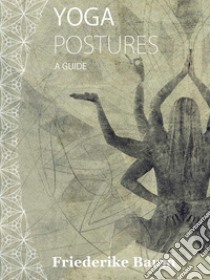 The Yoga poses outlined in this book will help the students at a beginner level to start practicing Yoga while will direct the more advanced ones to fine-tune their technique. By presenting each pose in the form of an easy-to-use card, the author has made a great effort to communicate her experience so that it can be easily understood. The book is filled with over thirty photos as well as instructions and suggestions on how to get the poses properly done. Some of the postures are basic, others are more advanced so that the book can accompany the students in different stages of practicing Yoga. As the author has done extensive researches on the importance of breathing while holding poses, a chapter is dedicated to breathing techniques with the intent of applying this knowledge not only during the Yoga practice but also in the life of every day.